Embassy of Sierra Leone, in the state of Kuwait. with its unique landscape, scenery and cultural heritage is waiting to be explored. It has a coastal line of nearly 360 kilometres fringed with beautiful and un-spoilt white sandy beaches along the Atlantic Ocean. The country offers visitors its historic heritage, exotic flora and fauna, Mountains and natural beauty. A place where the lush green forest spills down hillsides to meet the sandy beaches along the Atlantic Ocean. The tropical rain forest is home to some of the rare and endangered species of monkeys, baboons, birds, butterflies and a wide variety of Antelope and Buffalo families. Behind its natural beauty, Sierra Leone boasts numerous waterfalls, mysterious lakes and splendid hills, historical islands, some wearing the hallmark of slave trade. The cultural heritage creates a tradition of friendliness and hospitality, which treats every visitor to an exclusive and unforgettable nostalgia. A wide range of activities – bird watching, sport fishing, adventure, hiking etc are sure to attract and captivate visitors. 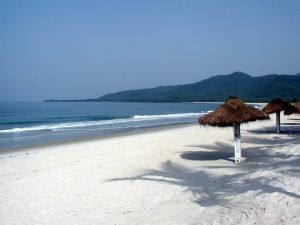 A visit to Sierra Leone will create an impression you will never forget. Please book your reservation below.